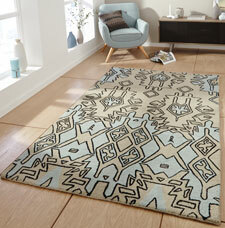 Spectrum is an outstanding collection of modern handmade rugs featuring cutting edge designs in wool. The rugs also feature high quality heavy pile that is soft to the touch and feels pleasant underfoot. In addition, the rugs are offered at great value.